Every EZSync cable is built to last for years with high quality industrial grade materials. A smart USB to 3.5mm stereo jack cable compatible with a variety of OneTouch glucose meters: Ultra2, UltraMini, UltraLink, and UltraSmart. Superior smart controller circuit over-molded inside the USB housing. No driver installation needed (Plug&Play) for Windows 10, 8 and 7, super easy driver installation for other operating systems. No driver CD in the package, latest driver software downloaded directly from the Internet. We stand behind every cable we make, we provide one-year manufacturer warranty and three-month no hassle return and full refund. Same specification as EZSync001 cable with transparent USB housing and a pair of blue/red LED showing the data traffic so you know the cable working status. One-year manufacturer warranty and three-month no hassle return and full refund. Superior smart controller circuit over-molded inside the USB housing. Super easy driver installation and no driver CD needed, latest driver software always can be downloaded directly from Internet. 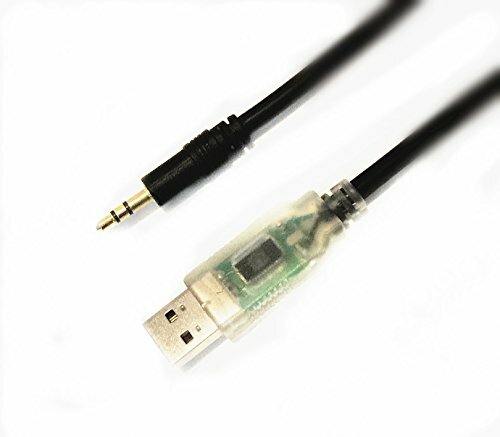 This cable is not designed or manufactured by OneTouch. Work with OneTouch Diabetes Management Software to download, manage and report data under Windows. This cable works with Diasend and SiDiary. This cable only works with Tconnect and Carelink on Mac platform.